LOVECRAFT'S PUPIL is Now Available in Digital and Print! I'm very happy to announce that Lovecraft's Pupil, the third book in the Parted Veil series, is now available in both digital and print formats! 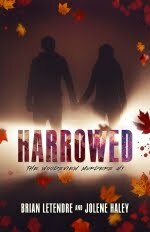 You can also grab the first two books in the Parted Veil series at the same sties mentioned above. 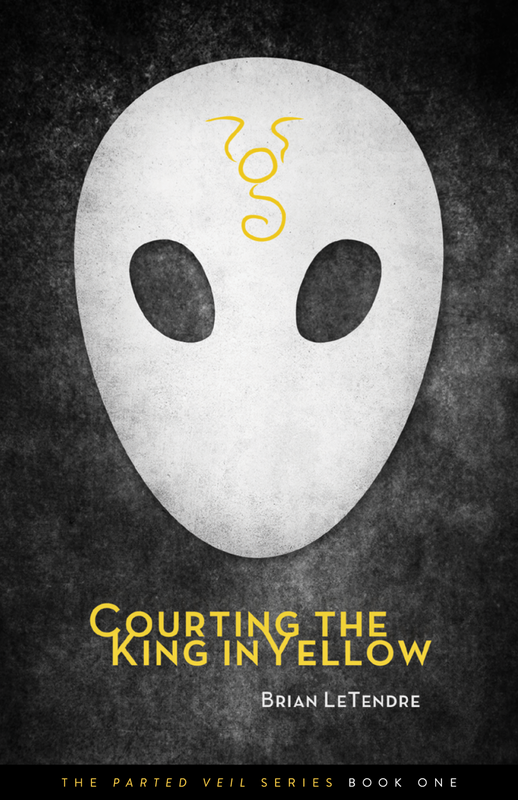 The digital versions of Courting the King in Yellow (Book One) are only $0.99 and Lovecraft's Curse (Book Two) is $2.99. Both are available in print as well. *The print version of Lovecraft's Pupil is available exclusively at Drive Thru Fiction for $10.99. 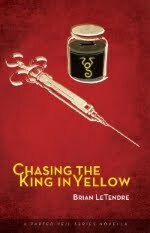 As the March 31st release day for Lovecraft's Pupil approaches, I'm also doing a lot of work on the first two books in the Parted Veil series, Courting the King in Yellow and Lovecraft's Curse. 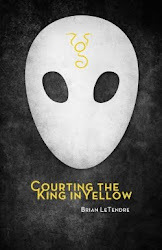 When I originally published Courting the King in Yellow back in 2012, there was no Parted Veil series as of yet. I had plenty of ideas about what I wanted to do, but it was my first book, so I released it as a standalone. 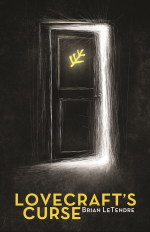 With Lovecraft's Curse in 2013, I introduced an almost entirely new cast, and the story was written in a way that connected to Courting the King in Yellow, but did not require having read it to enjoy Lovecraft's Curse. 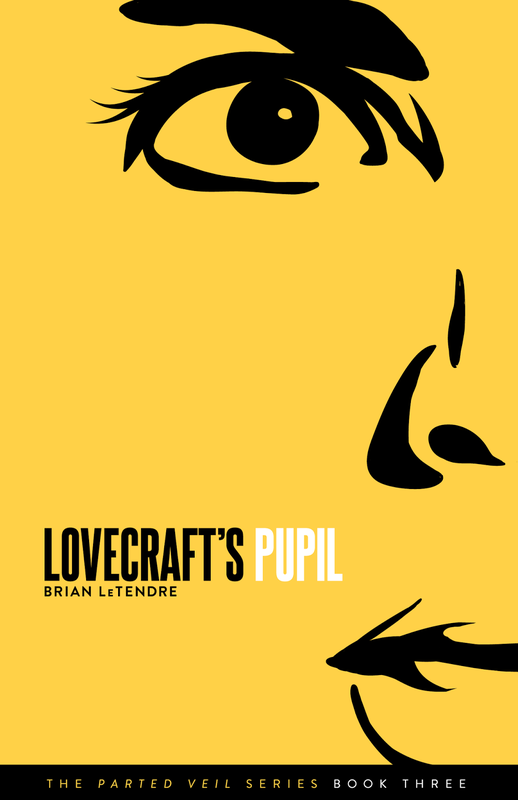 With Lovecraft's Pupil, the connection between the first two books in the series grow much stronger, and the casts of the two stories begin to interact more. 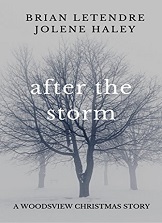 That turned will continue in book four (which I've already drafted) as the story arc of the series becomes one in which all of the cast members of the previous books are involved. For the print versions, the series branding is also on the spines of each book, and they look pretty darn cool sitting next to each other on a bookshelf. So, one new book release, but three new covers. And with them, a firmly established series that I'll be continuing to build on for years to come. LOVECRAFT'S PUPIL Arrives on 3/31! Check Out the Teaser Trailer! I am very excited to announce that Lovecraft's Pupil, the third book in the Parted Veil series, will be releasing digitally on March 31st! Lovecraft's Pupil will be available digitally on Amazon (Kindle), Kobo (ePub) and Drive Thru Fiction (PDF, ePub and Kindle) for $3.99. There will be a print version of Lovecraft's Pupil as well, and it should be available within a week or two of the digital versions (I'm in the proofing process now). AND, to celebrate the release of Lovecraft's Pupil, I'll be dropping the price of Lovecraft's Curse to $2.99. 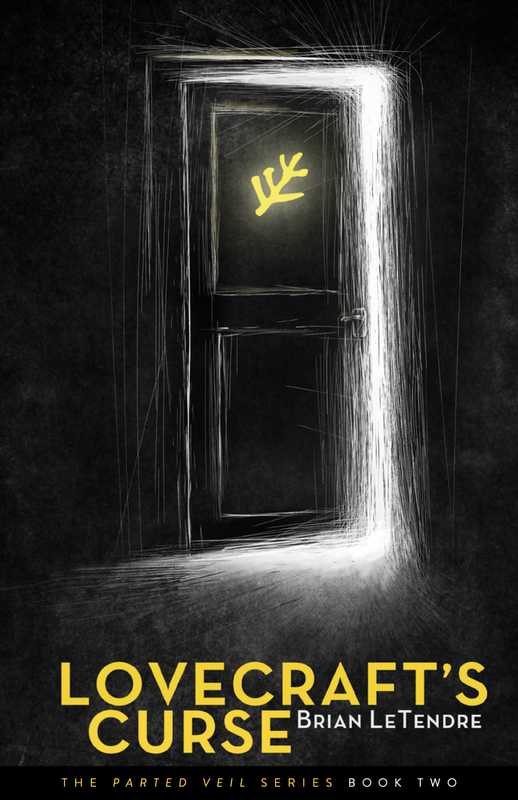 So, you can grab Courting the King in Yellow ($0.99), Lovecraft's Curse ($2.99) and Lovecraft's Pupil ($3.99) for about $8. I think that's a pretty sweet deal, but then again I'm a bit biased. After talking about it for months on the podcast on on this very blog, I can finally reveal the cover for the latest book in the Parted Veil series, Lovecraft's Pupil. 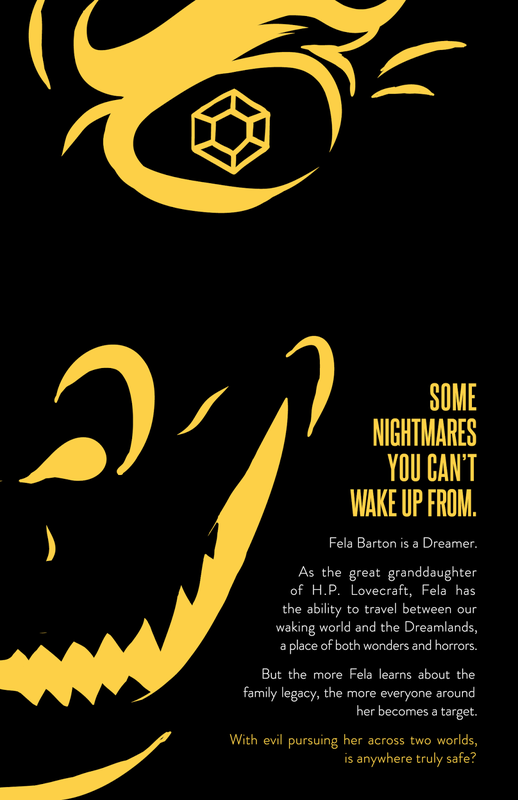 I am super pumped for this book, and I'm currently awaiting the print proof, which is on its way to me. Jeff Rodgers and Mike Jackson, my friends over at Kitbash Brand Design, took my crazy ideas and made this cover a reality. As usual, what they are able to do surpasses my expectations. I love this cover. As far as a release date, I am tentatively planning on a March 31st release for both print and digital versions of the book. Lovecraft's Pupil will be available digitally through both Amazon (Kindle) and Drive Thru Fiction (PDF, Epub and Kindle), and a print version will also be available through Drive Thru Fiction. 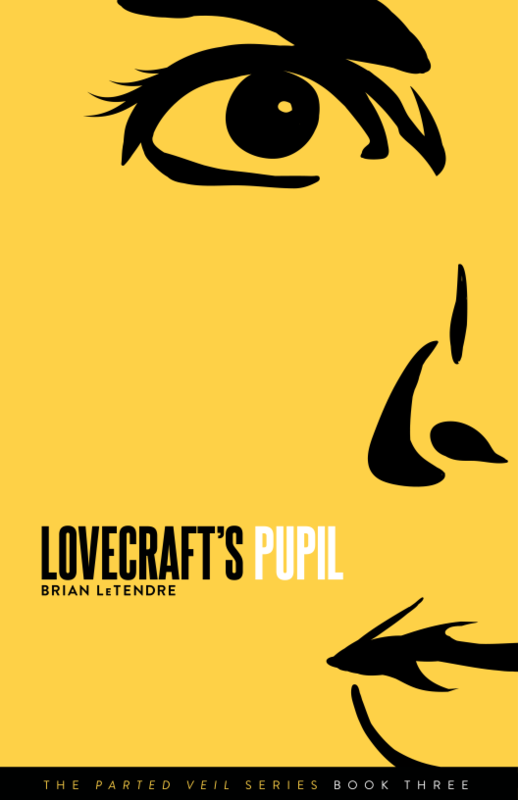 I should also have an announcement pretty soon about a very cool art print that ties into Lovecraft's Pupil. You may remember the "Uguborth" print that was inspired by Lovecraft's Curse last year, which I still sell and give away at shows. Stay tuned for more on the new print. In the meantime, check out that cover! 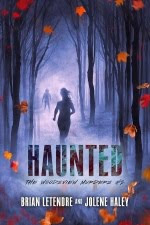 In the twenty-seventh episode of the See Brian Write podcast, I chat with Mary Beth Blevins about her past NaNoWriMo experiences, and what keeps her coming back each year. If I had one word to sum up my thoughts on the new album by Swedish rockers Europe, that would be it. I have been listening to War of Kings nonstop since it dropped on Tuesday, and it just keeps getting better every time through. At this point, you’re probably wondering if the Europe I’m talking about is the same band behind the ‘80s hits “The Final Countdown,” “Carrie” and “Cherokee.” The answer is yes. Europe released five studio albums between 1983 and 1991 before ending their initial run. Since reuniting in 2003, the band has put out another five albums and solidified their relevance in the hard rock scene. And if you haven’t checked them out since their 1986 triple-platinum album, then boy are you in for a pleasant surprise. War of Kings is an album that oozes confidence from a band that has sold over 20 million albums in the three-plus decades they’ve been around. It doesn’t have the immediate, catchy riff-driven feel of something like The Final Countdown, but that’s because this is a much deeper, and more complete album. There are some heavy hard rock songs, highlighted by the title track off the album, “War of Kings.” That song is a great indicator of what you’re in for--melodic, rich songs that feel very Deep Purple-influenced, with a bit of Black Sabbath thrown in. Guitarist John Norum’s fills and solos drive home the emotions of each song, and the rhythm section of bassist John Leven and drummer Ian Haugland provide the engine for each song. Singer Joey Tempest sounds as great as ever, and keyboardist Mic Michaeli adds a layer to each song that not only captures that Deep Purple vibe, but elevates the entire melody. The production on this album is fantastic. Producer Dave Cobb and Engineer John Netti really do justice to the band, as every instrument shines through and the sonics are really rich. This is an album you want to play loud in a big room and just let the sound fill it up. 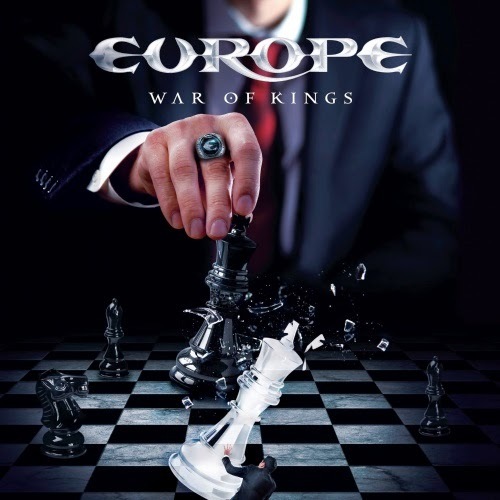 Europe’s War of Kings feels like a real team effort--a great album by a band that knows what its doing. Europe haven’t been afraid to explore new territory with their sound, but haven’t forsaken why people loved them in the first place. I cannot recommend this album highly enough--it’s an early contender for album of 2015. 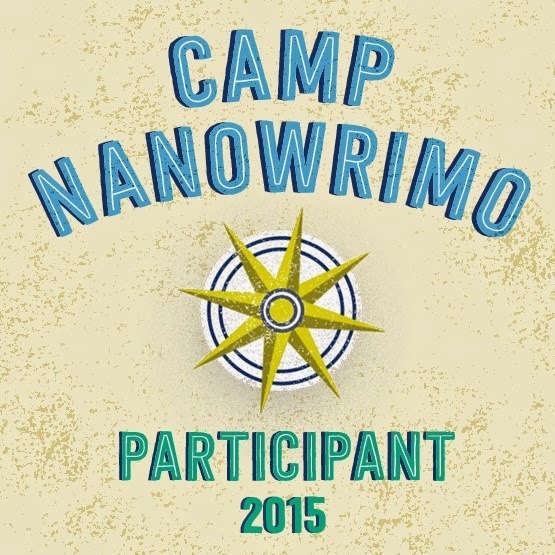 With Camp NaNoWrimo quickly approaching, I have to decide what I’ll be writing about in April. I could work on a few short story ideas I’ve had kicking around for a bit, or I could work on the next installment of the Parted Veil series. Right now, I’m getting ready to release Lovecraft’s Pupil, the third book in the Parted Veil series. 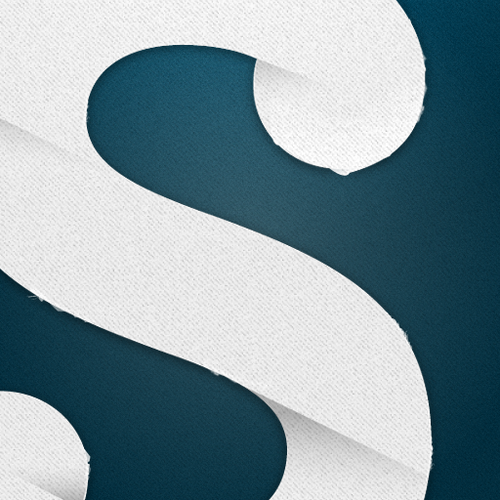 The first draft of book four is done, and I’ll be editing that for a (hopefully) late 2015/early 2016 release. And by the end of book four, there are some big storylines that will be explored in the series moving forward. But I’m kind of thinking about exactly how I want the series to move forward. I’m considering moving toward novellas for future installments, for a couple of reasons. First, there are major storylines happening with different characters that could support their own novellas, and second, future installments of the Parted Veil series would theoretically be released more frequently. To be fair, my novels are on the short side to begin with, so the move to novellas wouldn’t be a drastic one for those who have read the series so far. But I also don’t want to turn off readers by switching to a different format. I guess I’m writing this to ask my fellow writers--What are your thoughts (and experiences) on novellas versus novels? How about within the same series? What Are You Reading for World Book Day? You may have noticed when you woke up today that #WorldBookDay is trending on Twitter. World Book Day is an event started by the United Nations Educational, Scientific and Cultural Organization (UNESCO) to promote reading, publishing and copyright. In fact, it's full name is World Book and Copyright Day. But, most folks focus on the "book part," and so the event has really become about promoting reading. Interestingly, the UK celebrated World Book Day before just about everyone else, which is why you're seeing it trend on Twitter today. For most of the rest of the planet, World Book Day will take place on April 23rd. The UK celebrates it early because that date conflicts with other holidays and events for them. Which really just means that we get more than one World Book Day, and that's pretty awesome. 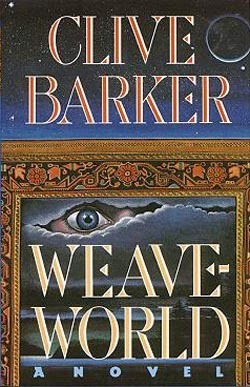 Anyway, the book I'm currently reading--and thus celebrating on World Book Day--is Clive Barker's Weaveworld. It's a fantastic dark fantasy/horror story about an entire world that was woven into a carpet to hide and protect it from mankind. Even if you're not a horror fan, I would highly recommend it, as it leans much more toward dark fantasy than a lot of Clive Barker's other work. I am re-reading it after many years, and enjoying it even more this time around. 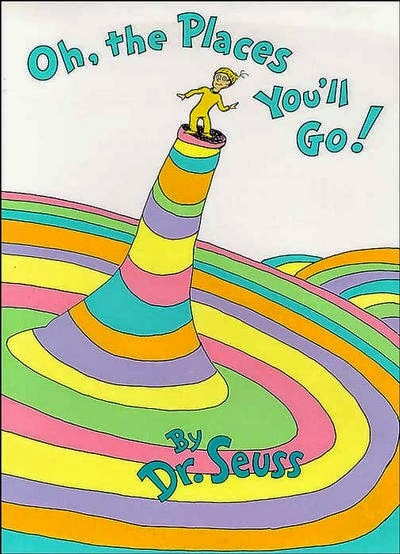 In celebration of the great Dr. Suess' birthday, today is known as Read Across America Day, and it kicks off National Reading Month in America. I happen to live in Springfield, Massachusetts, the birthplace of Dr. Suess. So as you can imagine, his birthday is a pretty big deal around here (there are Dr. Suess-themed events at all of our libraries throughout the month). There are lots of ways to celebrate National Reading Month--create a reading challenge for yourself and your family, start a book club, or just dedicate some time to reading every single day. For myself, I have a list of books (and comics) that I plan on getting through over the course of the month--Clive Barker's Weaveworld, Gail Simone's Red Sonja, and Kim Harrison's A Fistful of Charms to name a few. So, how are you celebrating National Reading Month?